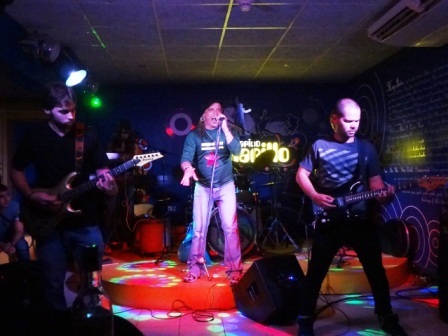 Spend an evening enjoying live Cuban rock music at one of the clubs: Café Cantante, Submarino Amarillo, Maxim Rock, El Diablo Tun Tun and Sala Atril. When the movie Blackboard Jungle came out in 1955 it featured Bill Hailey’s Rock Around the Clock. Teenagers were electrified. This included Cuban young people who lived in an Americanized society. Hollywood movies were favorites at Cuban theatres. American radio stations beamed rock ‘n roll across the waters: Elvis, Chuck Berry, Buddy Holly and Little Richard were some of the rock pioneers. Popular American singers such as Nat King Cole, Billy Daniels and Eartha Kitt performed in the Havana clubs. But none of the early rockers ever made it to Cuba. So the Cuban musicians created their own versions of their rock ‘n roll idols. 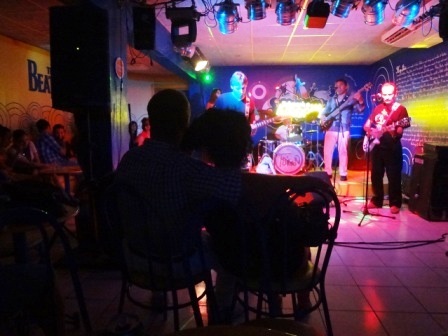 In Havana’s Cayo Hueso neighborhood a group formed calling itself Los Zafiros (The Sapphires). Singing awesome harmonies like those of the Platters, they exploded onto the Cuban scene in 1961. Writing much of their own music, they toured the biggest clubs and then the world before disbanding in 1975. (see the documentary, Los Zafiros: Music from the Edge). Everything changed in popular music in 1964 when the Beatles came to America and spearheaded The British Invasion. The world’s teenagers embraced the new sound as their own. In a short while the ballad singers, girl groups and doo-wop bands were replaced by hard rock, funk, soul and the psychedelic sound. But politics intervened for Cuban youth. After the 1961 Bay of Pigs invasion of Cuba by America and then the nuclear arms stand-off in 1962, Fidel Castro outlawed rock ‘n roll as “the music of the enemy”. This ban also included jazz. 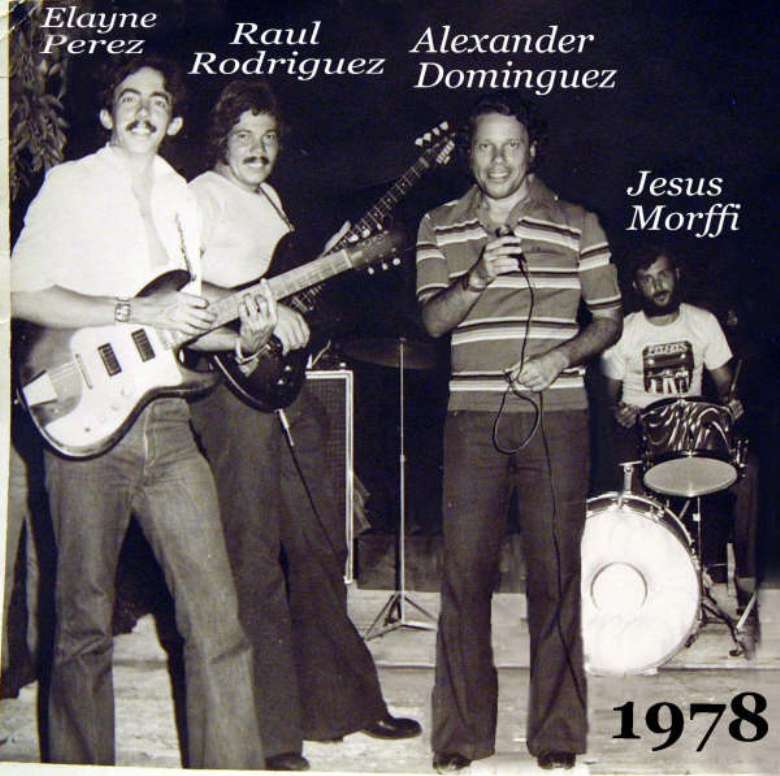 Young Cubans who studied abroad became adept at smuggling rock music into Cuba. They would slip a Beatles or Dave Clark Five vinyl record into the sleeve of a Cuban artist. So this ban did not stop Cuban musicians who loved this music. Stovepipe pants were forbidden at school, some young people were arrested, had their hair forcibly cut, were denied entry into certain professions and yet they managed to rock on and keep the music alive by every means possible. Because their fans wanted to hear the songs popular in America, the Cuban bands specialized in doing covers. Some of the top Havana groups in the 60s and 70s were Los Jets, Los Kents, Dimension Vertical, Los Dada, 5U4, (most of its members were blind and they wrote their own Cuban rock tunes), Los Bucaneros, Sesiones Ocultas and Los Barba. The singers had to learn the English lyrics phonetically by listening to a song over and over. The bands performed on radio, tv and in Havana clubs. However, no Rolling Stones, Beatles or other rock ‘n roll tunes were permitted in these public places. The Cuban artists wrote their own songs and sang Spanish versions of popular American ballads. The hardrock was saved for private parties (where someone kept an eye on the neighborhood spy in case he rang the police). And yet Havana radio featured a morning and night show that played current rock songs like Steppenwolf, Deep Purple and the Stones, with no explanation ever given. By the late 1970s many of the Cuban bands had broken up, their members torn apart by life, by the military draft or by the exodus to Miami. Each club features “rock nights”. Los Kents play most of the clubs on alternate nights and Gens are featured on “rock Fridays” at El Diablo Tun Tun. Submarino Amarillo; 17th Street between 6 and 4 in Vedado. Various rock bands every night. Sala Atril at Teatro Karl Marx; First Avenue between 8 and 10, Tel: 203-0801 for band information.